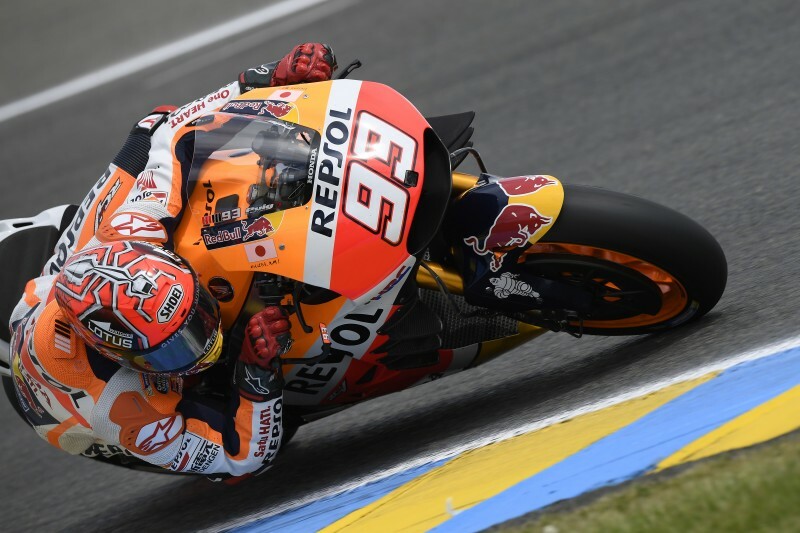 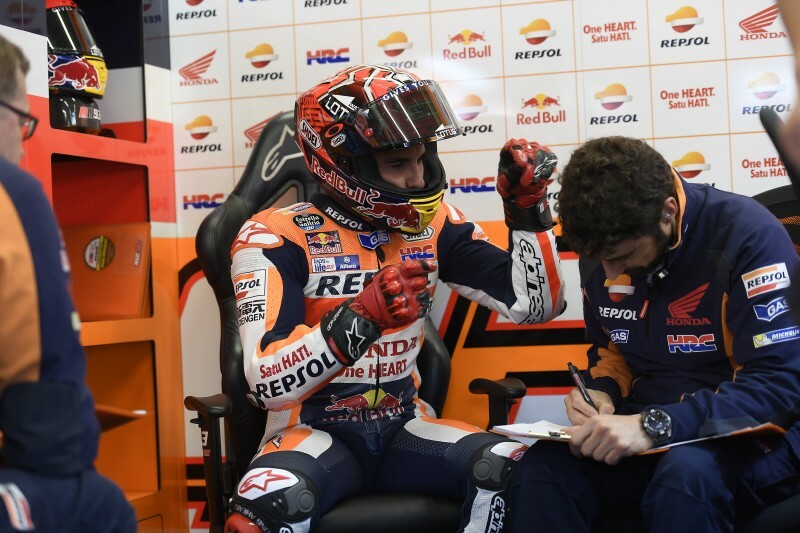 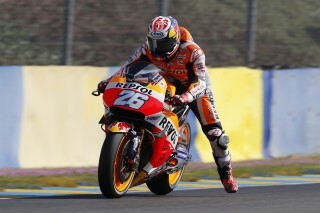 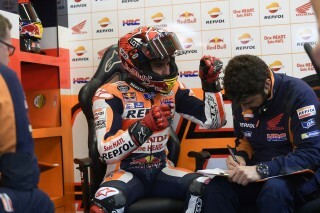 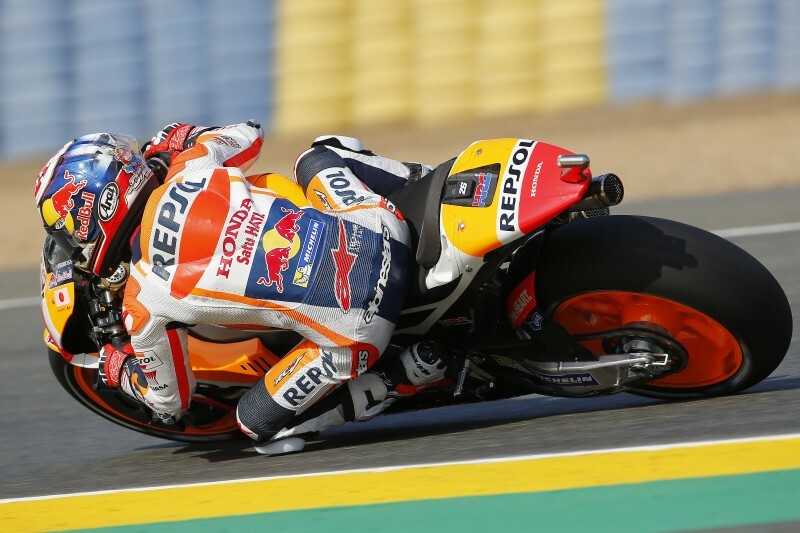 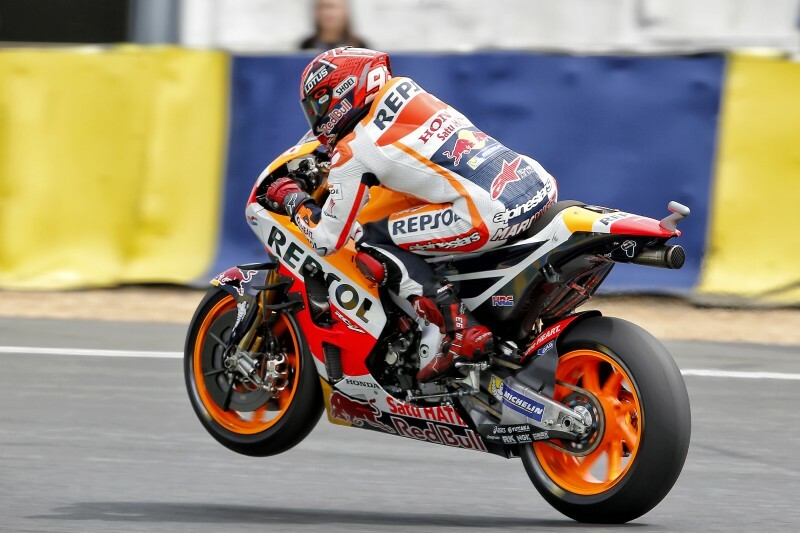 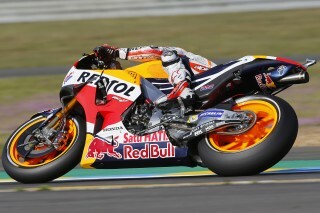 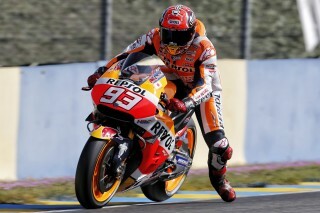 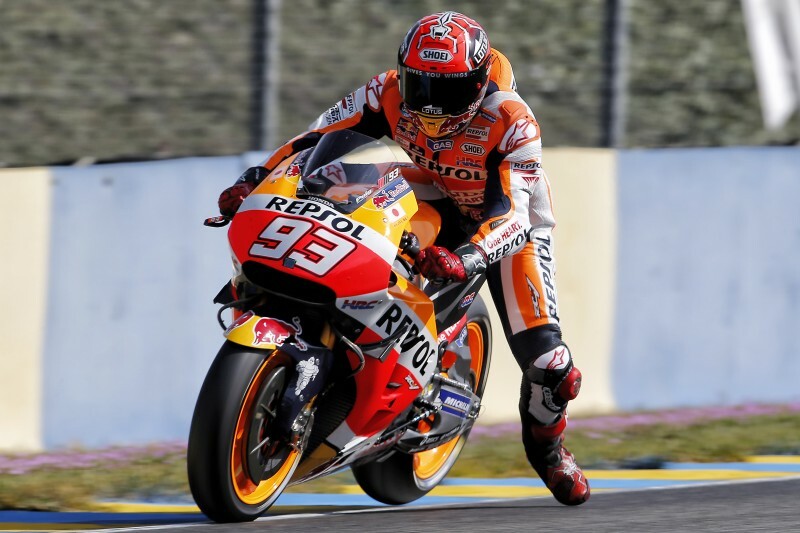 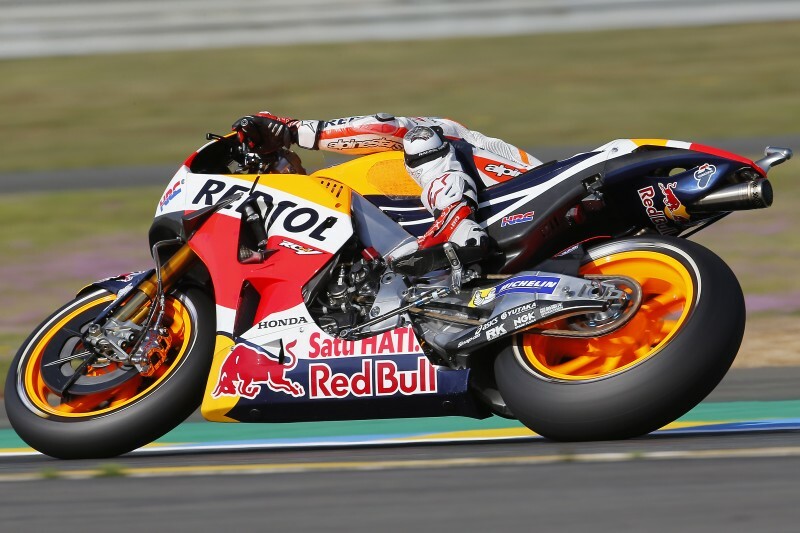 There were mixed feelings for Repsol Honda today at Le Mans, with Marc Marquez emerging second-best from a demanding qualifying session and Dani Pedrosa forced to settle for 11th place after slipping off at turn 4 halfway through the session. Marquez had found quite a good pace in the morning FP3 session, and he struggled to match that speed in his first run in qualifying. 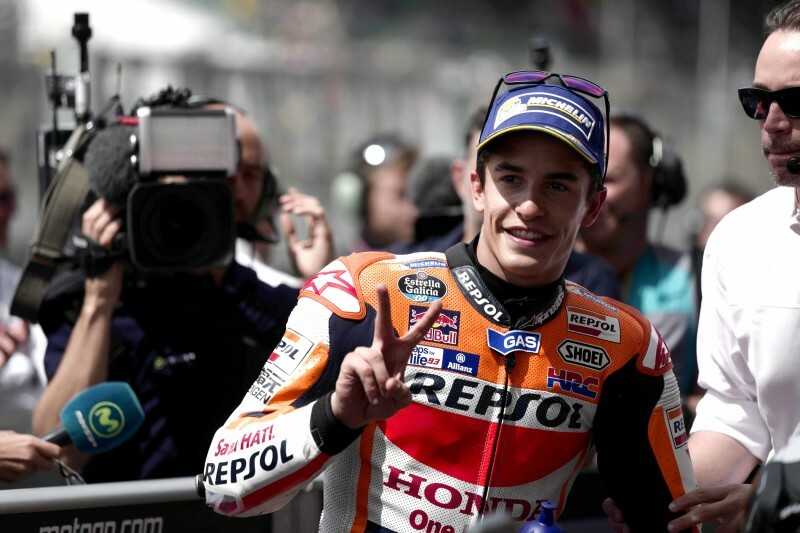 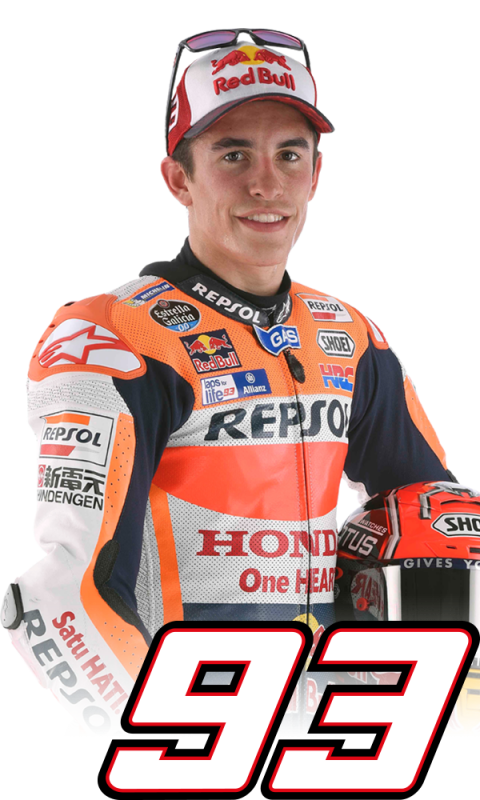 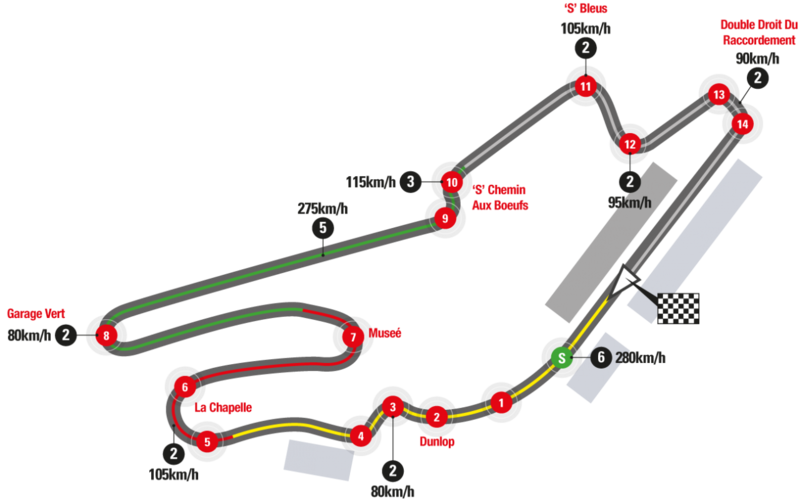 However, the Spaniard put in a couple of very fast laps during his second exit and finished in a strong second position behind pole-man Jorge Lorenzo. 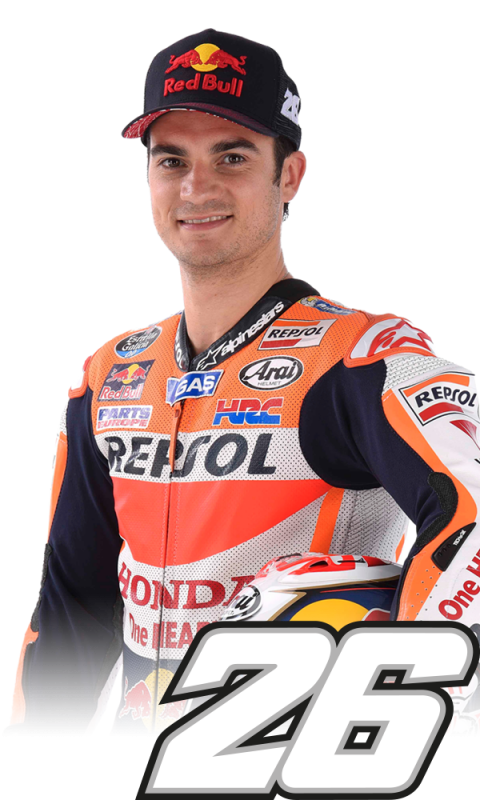 Pedrosa was unfortunate to suffer a small crash after completing his first flying lap and so losing precious time and the chance to improve his lap time enough to do better than 11th. 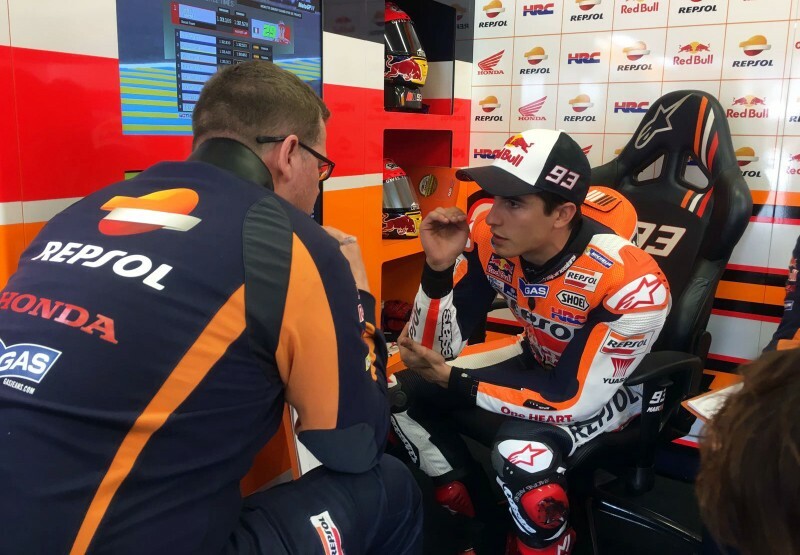 Tomorrow’s warm-up session starts at 9:40 a.m. local time, when both riders will have the chance to finalize the details before the race takes off at 2 p.m.